My second daughter spent 21 days in the NICU. 21 long days. We had no idea there was an issue prior to her birth so the complications which arose were a complete shock. To go from expectations of a typical normal birth experience to one which involved a lengthy hospital stay and separation threw me for a total curve. The emotional roller coaster was not one I anticipated. Tonight, we will discuss the emotional upheaval which occurs within families who spend time in the NICU, how parents can care for themselves, how NICU parents often delay treatment, and the crushing guilt which crashes down upon us in addition to any mental health challenges we are facing. 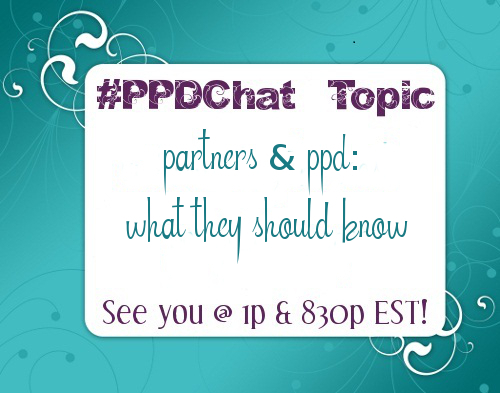 We’ll also discuss knowing the difference between NICU stress/fatigue and PPD. It’s nuanced, but there is absolutely a difference. I sincerely hope you will join us tonight at 8pm ET as we open up about the difficulty of navigating the NICU as a parent. See you on Twitter! This entry was posted in #PPDChat and tagged #PPDChat, neonatal, newborn, NICU, parenting, peer support, preemie, stress, Twitter Chat on January 25, 2016 by LHale. We associate winter with the blues. Everyone stays inside to stay warm. But summer is the opposite – some of us stay inside to stay cool. Or because it’s too much trouble to tote the little ones outside because OMG WE HAVE TO PACK ALL THE SUNSCREEN and everything else in the house just to go to the pool and dear sweet lord don’t forget that we need swim diapers, formula, a nursing swimsuit (OMG – nursing at the pool…)…the list goes on and on and on and on…you get the point. This chat will be chock full of tips and mamas chatting about how to manage the issue of parenting/adjusting to a newborn in the summer months. Summertime creates an entire extra set of issues, issues we all seem to just dance around. Well, tomorrow night, we’re gonna stomp on them and figure them out. Join me on Twitter at 830pm ET. See you there! This entry was posted in #PPDChat and tagged #PPDChat, community, depression, mental health, motherhood, parenting, peer support, postpartum depression, Postpartum Mood Disorder, summer, Twitter Chat on June 22, 2014 by LHale. She sighs, in the dark, as her baby snuggles closer to her neck, his chubby fists opening and closing as he exhales and relaxes his body with a small whimper. She waits, supporting him, waiting for that moment when the weight of sleep brings a random tingle or two to her forearm. Stands up slowly, using muscles in her thighs to lift her upper body as she does so, careful to not a muscle touching her now sleeping infant. Eyes flutter shut as she puts one foot in front of the other, heading for the crib. Baby shifts, stutter sighs, and moves, nuzzling further into her neck. She moves her hand to the back of his head, rubbing it softly as she hums their song. She manages to lay him down and leave the room. As she crawls into bed, her calves sink into the mattress first, then the exhaustion surges upward until her eyes slam shut until morning, all of an hour and a half away when she will wake up to a hungry baby, a dog with a full bladder, and a toddler who has probably strewn cheerios over half the house because she needed to feed the dog. For some, motherhood is a warm field on a sunny day filled with laughter, babbling brooks, playful deer, and an intoxicating joy. For others, motherhood is a dark room in the bottom of the keep, covered with bars, the key well beyond our reach. We fight, we scream, we rage against the thick door but it won’t budge. We see the warm field in the sun from the window a the top of our room and long for it – long to talk walks with our little ones as the sun beats down upon our faces and a smile spreads across our face but instead, we are trapped inside our own special hell. Motherhood without a mental illness is not the easiest road to tread, either. Heck, life in general requires some level of tenacity. One of the most frustrating things I am faced with is not discounting the struggles that each of us go through – respecting the journey of every single mother without demeaning the journey of another. And yet, it’s my goal. Over the past several years, I have been privileged enough to meet some of the most amazing and resilient parents. Parents who fight for themselves, for their children, for their relationships, for life. Parents who work through even deeper hells than I can even imagine and still manage to parent their kids, all the while, worrying about how their experience will affect their kids, their marriage, their jobs, their lives. Yet, every morning, they wake, get out of bed, and take another step forward toward healing, even if they are absolutely exhausted. A friend of mine posted on FB a quip about hockey players being a different breed. He was commenting on Rich Peverly’s alleged desire to get back into the game despite having experienced a cardiac event on the bench. Any other sport and the player wouldn’t be thinking about getting back in the game, right? The same is true of mothers battling against mental illness, whatever form it may take for them. We want to get back in the game. We want to play, we want to laugh. We want to be free to just…be…without the burden or restraint of our mental health on our souls. This is why we cherish the good days and wade through the bad ones. Why we hold on so tightly to every single glimmer of hope crossing our hearts. We are a different breed. We’re just different and we want to be loved for who we are, not what you think we should be or could be. This entry was posted in advocate, family, fathers, husbands, infant, life, mom, motherhood, My 500 Words, Perinatal Mood Disorders, postpartum depression, survivor, woman, writing and tagged mental health, mom, motherhood, parenting, postpartum depression, stigma on March 10, 2014 by LHale. Colourful jars sit atop a shelf in a misty and humid room. Running water slides down her skin as she lathers up with the latest in moisturizing body wash which promises to make her skin glow with youth. She washes her hair with shampoo and conditioner to make it thick, silky, and soft. As she exits the shower, the drying process begins – softly – so as not to leave any red marks or heaven forbid, pull skin in the wrong direction. Pat the face dry then move down to her toes. She folds the towel in thirds and places it neatly back on the rod before she wraps her hair in a smaller towel. Grabbing a toothbrush, she measures out the whitening toothpaste and gets to work. Rinses, then gargles with mouthwash to ensure bad breath stays at bay. Then, moisturizer. While that soaks in, she puts on her undergarments. A bra with an underwire and underwear that promises to hold in the stomach which has nurtured the lives of her children close for the past few years. She frowns. Back to the bathroom. She reaches for the first layer of glow, then dots on concealer. Waits for it to dry before applying an overall foundation and gently blending it together to hide the exhaustion and stress marching across her face. Next up, eye liner and eye shadow. They make the eyes more open and energetic. Mascara goes on next, gently, the kind that lengthens the lashes because again, more awake and conscious. Less tired. Then she puts on blush to cheer her cheeks up, smiling as she carefully brushes up, not down – happy, not sad, she whispers to herself. She takes down her hair and gives it a tousle. Plugs in the hair dryer and gives her hair a once over, then pulls it into a messy bun. Walks into the closet and chooses whatever isn’t wrinkled or covered in baby food stains. Grabs a pretty pair of heels then over to the jewelry box to select accessories. A small hand tugs on her skirt and she looks down. “Mama? You look beee-yooo-tea-fah. Hug?” her middle daughter asks, covered in chocolate from whatever snack she just finished devouring. So the mother leans down and gives the child a hug, knowing she will have to change her clothes. She sends her daughter on her way, and walks back into the closet, stripping as she goes. A new outfit selected, she makes it to the car with no child-induced stains on her pretty clothes. She turns the key, unlocks the door, and slides into the driver’s seat, throwing her miniature purse on the passenger seat beside her. Exhaling, she checks her makeup one last time to be sure she looks human and not like some exhausted creature just waking up from hibernation. She doesn’t. She turns the key, starts the music, and backs out of the driveway. Transformation into Decoy Mom complete. Decoy Mom is a mom who goes through great lengths to hide how her life is really going – every stitch must be perfect, every thing in it’s place, nothing negative to be found anywhere. And yet, inside, everything is falling apart. Her heart, her life, her soul – it’s all cracked and crumbling. I’m not saying that a Mom who has it all pulled together is definitively falling apart. Nor am I saying that a Mom who doesn’t have it all pulled together is well. What I am saying is that we are all “covers” when we are with people and some of us are even “covers” when we are alone. We choose what pieces of ourselves to share and what pieces of ourselves to hide. We are not expected to fully share ourselves with anyone unless WE choose to do so. But we should absolutely be at least fully sharing ourselves with ourselves. In order to be authentic with anyone at all, you have to first be authentic with yourself. Being authentic with yourself is a difficult practice but a necessary one. Stop hiding behind a mask, telling yourself lies about who or what you are inside and outside. Take a hard look inside. Explore. Make a list of everything that is there whether it is good or bad. Work to improve or re-frame the bad (sometimes, negative traits can be utilized for positive things – are you firm & harsh? Figure out how to rein that in by using compassion and understanding). Expand the good, let go of the negative. Focus on flipping the script. Figure out what you want out of life this year, make a list, then break it down into smaller goals. Don’t let the big things overwhelm you and don’t let yourself become Decoy Mom. Be the authentic Mom, wife, sister, cousin, aunt, and YOU that you were meant to be. Stop hiding her under layers of crap. You might find that you have more time (and energy) to BE you if you give up all the hiding. 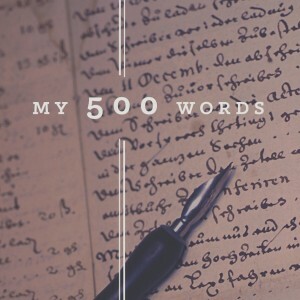 This entry was posted in frazzled, life, mom, motherhood, My 500 Words, toddlers, woman, women, writing and tagged authenticity, Decoy Mom, kids, make-up, messy life, My 500 Words, parenting, writing on January 3, 2014 by LHale. Once upon a time, there was a little girl who lived in a modern house at the edge of suburbia. One of her favorite things was a trunk filled with dolls and stuffed animals from far away lands. She would open the trunk slowly, and carefully select a few toys with which to have tea. Her favorite was a stuffed panda bear from China. There was nothing shiny or sparkly about it but the panda bear fit just so in the crook of her arm. When she wrapped it in a blanket, the bear transformed into a baby. She would rock it for hours after tea, whispering sweet nothings into its ear and smoothing the fur in between its ears. Then, at night, just before bed, she would tuck the bear back inside the chest, telling it good night and wishing it happy dreams. 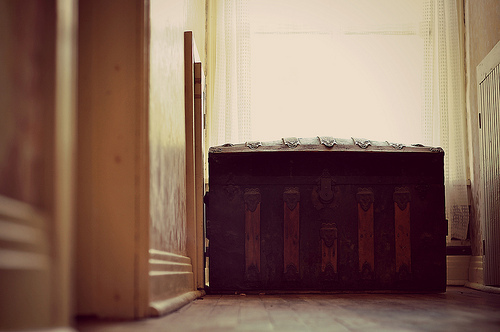 The little girl would clamber into bed for a night full of happy dreams about things she could do the following day with all her perfect toys tucked ever so neatly into the fancy trunk at the end of her bed. As she grew older, she had different dreams. Dreams of a real baby of her own. The trunk grew dusty and the panda bear stayed inside, asleep for years and years. Eventually, the little girl had a child of her very own. She wanted very much to hold it, rock it, and whisper sweet nothings into its ears. Kiss the sweet innocent cheeks and tuck it away for the night as she slept too. But it did not work that way, the now-grown girl discovered. The sweet nothings were trapped deep in her heart, quelled from bubbling to the surface. The now grown-girl was sad, depressed, and anxious instead of being happy and carefree. What was this? How could she make this go away? Then she remembered a story her father told her – about an enchantress in a forest far, far away. This enchantress turned sadness into happiness with the mere flick of a wand, something her father showed her every time she cried, imitating the enchantress’s wand with his finger as he carefully wiped her tears from her cheeks. So the now-grown girl decided to make the journey. She set about making preparations. Food, check, baby strapped to her chest, check. Unicorn to ride, check. As she rode away from the castle, an uneasiness settled over her heart as she wondered if she would be able to make the journey all alone, with no help to care for her child. But she pressed on because she did not know where else to turn. She rode for days until she saw the edge of the forest in the distance. As she settled in for the night, she snuggled her child close to her and stroked its hair. In the morning, she whispered, things will be better. You’ll see. As the sun rose, so did she. She gathered up the things spread out from camp the night before and once again, strapped her wee one to her chest before flinging herself upon her unicorn. They galloped toward the forest. After a short while, she heard more hooves on the road behind her. Glancing back, she saw hundreds of other mothers, all with infants strapped to their chests, riding on unicorns. They too, were headed to see the great magical enchantress for the were exhausted with fighting against wave after wave of emotion. Surely, one wave of a magic wand and they would be whole again. They grew closer to the forest by the end of the day but could not quite seem to reach it as the sun sank in the sky behind the towering trees. So all the women dismounted and set up a great big camp not too far from the edge of the woods. Together, they prepared dinner, they sang, they laughed, they shared caring for the babies they held. Then, at long last, they slept peacefully for the first time in months as volunteers took turns tending to the babes at the mothers’ sides. In the morning, breakfast was prepared and shared amongst the camp. As the sun rose higher, the women, having been lost in their camaraderie, finally realized the forest had again shifted even farther away. But no one made a move to pack up and ride onward. Instead, they went about their business, laughing, crying, sharing, and helping where they could in the camp. For you see, you do not need a magic enchantress with a magic wand when you have the support and compassion of those around you. While peer support has been proven to heal women faster as well as prevent severe cases of Perinatal Mood & Anxiety Disorders, it is not often the only tool one needs to fight back. You may also need to see a health care professional to discuss more serious and intensive care methods such as therapy or a variety of medicine approaches – whether it be pharmaceutical or homeopathic. If you or a loved one are struggling with a Perinatal Mood & Anxiety Disorder, know that you are not alone. Reach out to Postpartum Support International to help locate resources near you. This entry was posted in postpartum depression and tagged enchantress, fairy tales, magic wands, motherhood, parenting, peer support, Perinatal Mood & Anxiety Disorders, unicorns on October 22, 2013 by LHale. This entry was posted in #PPDChat and tagged #PPDChat, baby, dad, mom, parenting, partner, peer support, Postpartum Mood & Anxiety Disorders, PPD, support, Therapy on July 15, 2013 by LHale. This week’s #PPDChat went off the charts with a lively discussion during both moderated hours when we pushed the question of blogging the tough stuff without seeming ungrateful for the good stuff that happens along with it. Suggested by Jamie over at James & Jax, the topic exploded with several people chiming in. The primary concern about bloggers was not the opinion of strangers but rather that of people they know in real life. The concern regarding the random visitor from the web was visited too with the reminder that these folks only see a “slice” of our lives at our blogs, framed as we choose to frame it. The same goes for in-real-life friends, really, as we are writing for ourselves in addition to our regular readers. Blogging through mental health and parenting can be such a messy place. So many of us have so many different approaches and we all know how much everyone LOVES to dish advice about how we’re supposed to deal with both. So doesn’t blogging about these struggles open us up for criticism? But dealing with that criticism is also an important aspect of choosing to blog. It’s okay to not share your full story. I haven’t shared my full story here at the blog. There are bits and pieces I hold close to me because as I stated in chat, these pieces involve other people so I don’t feel they are fully my story. There are others who choose not to share because they feel their story is not “enough” for sharing. It’s okay to feel that way. The importance and beauty in our stories is that we choose when to share them, how to share them, and most importantly, how much to share of them. No one can force us to share more than we are ready to share. You are no less of a person, a blogger, a mother, an advocate, or a woman simply because you have not shared your story. Your lived experience is more than enough and if you’re led to share it, great. If not, that’s okay too. The beauty of us all comes from our nuanced differences. Those of us who speak openly and freely encourage others to share our stories. We also let those who are more guarded know they are not alone in their battles, even if we never hear from them. Those of us who choose to be more guarded let others wanting to be just as guarded know it is also okay to be guarded. There is a camaraderie to be felt in every aspect of your choices. And that camaraderie is a phenomenally beautiful thing. Wrapping this up, I invite you to this blog on Sunday for a few video stories from mothers who have been through the thick of it, myself included. I’m nervous as all get out about being on recorded video (GASP), but given that this is My Postpartum VOICE, I want to leave my comfort zone and use my actual voice. Give a face to the stories here. I also invite you to check out Katherine Stone’s Postpartum Progress on Sunday. She’s hosting a bevy of writers for her 5th Annual Mother’s Day Rally for Mom’s Mental Health. I’m honoured to be participating again. My post goes up at 1am! Early! Katherine does great things for Moms and families with Postpartum Mood Disorders. Don’t forget to check out all the posts. I can’t wait to read them all! Don’t forget about the PSI Blog Hop for Maternal Mental Health Awareness as well! This month is chock-full of stories. Some of them might be just like yours. 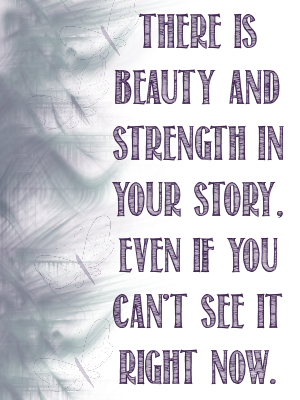 Above all, remember, that there is beauty and strength in your story, even if you can’t see it right now. This entry was posted in #PPDChat, blogger and tagged #PPDChat, blogging, parenting, peer support, Postpartum Mood Disorders, Postpartum Progress, Power of the Story, PSI Blog Hop for Maternal Mental Health Awareness, sharing your story on May 10, 2013 by LHale. 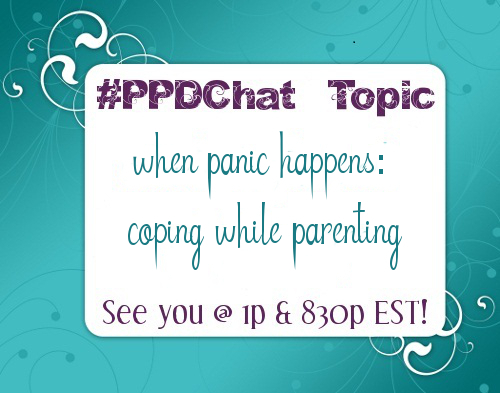 This entry was posted in #PPDChat and tagged #mhsm, #PPDChat, panic attack, parenting, peer support, Twitter Chat on September 24, 2012 by LHale. It’s been awhile since I’ve done this but this past week, I read a post worthy of being highlighted as Postpartum Voice of the week. In fact, it’s inspired me to dive back into blogging here – I’ll be somewhat changing direction but it’ll still have the same Postpartum Mood & Anxiety Disorder focus. More about that in an upcoming post though. For now, I want to simply highlight this very deserving post. Kate Sluiter blogs over at Sluiter Nation and has been doing so for 5 years now. Her writing is amazing regardless of the topic but when it comes to her experience with Postpartum Mood & Anxiety Disorders, it’s phenomenal. Kate is an open book, bravely sharing her experience after the birth of her first son, during her pregnancy with her second son, and now, after the birth of her second son. It’s a MUST READ for any parent with or married to a partner with mental health issues. She is brutally honest, transparent, courageous, and personable in this post. “I still feel very angry that I have to deal with this at all. I don’t want it. Any of it. I don’t want to be on meds, not because I don’t want to be better, but because I don’t want to have all these letters. In writing these two paragraphs, especially the last one, she clarifies something very important – mental illness/letters do not define us. They are a part of us yes, but they absolutely do not define us. Go. Read her post, “heavy alphabet soup.” Leave her some love. This entry was posted in blogger, Perinatal Mood Disorders, postpartum depression, Postpartum Voice of the Week and tagged Kate Sluiter, mental health, parenting, Postpartum Mood Disorders, Sluiter Nation on August 23, 2012 by LHale. Parenting is a ritualistic exercise in extreme sacrifice. We awake earlier than we want, watch television programs we don’t want to, make play-dates we could care less about, plan parties, go to parties, make nice with another parent because our kid likes their kid, etc, etc, etc, etc. It goes on forever. But that’s what parenting is, right? Sacrifice? And yet a resounding no. Last night, I asked on Twitter if Motherhood should trump Womanhood once it entered the mix. What ensued was an extremely interesting conversation. Answers varied from “If that’s what the woman wants” to “No, it shouldn’t” to “I don’t understand, isn’t Motherhood a facet of Womanhood?” It is, once it enters the mix. But what fascinates me is the way we, as women, and as society, measure a woman’s worth based on her desire to conceive or parent. Someone even pointed out a pet peeve with articles which identify someone as a Grandmother, Mother, etc., even when it’s not relevant. In the infancy years when our children depend fully upon us, Mother is our defining role. However, we should still make time for ourselves as women as well. We are still us, we have merely added another facet to our skill set. Some of us are woman first, mother second. Some may be Mother and then Woman. That’s okay. It varies from woman to woman and is based on personal experience as well. Go with what works for you and your family. For those who are woman first, mother second, we know we need to be valued as a woman. But no one will value us as woman if we fail to treat ourselves as woman first. But what is woman once she is a Mother? She is you, as you were before children, with the added responsibility of child-rearing. Woman is beautiful, exhilarating, compassionate, powerful, strong, complex, amazing, and full of heart. She is life, and yet at the same time, she can get so lost in roles demanded by society, she may be her own death. Swallowed whole by Mother, Wife, Employee, Caregiver, Daughter, Sister, Cousin, etc, she finds herself carried away by the powerful current of Life, not realizing until too late she is in dangerous waters. Today I tweeted, with the intent of being humorous, “For Lent, I’m giving up giving up things.” I also posted it as my Facebook status. The responses surprised me. One of my friends on Facebook included a link to a post written by a friend of hers last year —On Eating Chocolate for Lent— which got me thinking –should we be giving up anything for Lent at all– especially when we already give up so much of ourselves as Mothers? If we continue to sacrifice ourselves at the rate we’re going, we will have nothing left to give our children or loved ones once we finish –if we finish– before we pass out, an exhausted heap in the kitchen floor. Want to give up something for Lent? Give up throwing yourself under the bus for everyone around you. Give up saying yes to every responsibility you are asked to take on by friends, family, work, etc. Give up judging yourself for not keeping up with the Joneses. Stick with the bare necessities. Give yourself the gift of time to yourself, the gift of time with your children instead of racing around like crazy to keep family, friends, and society happy and smiling. Give yourself happy. Give yourself joy. Give yourself laughter. Give up giving yourself up for 40 days. Be kind to you. You are worth it. This entry was posted in family, fathers, frazzled, happiness, infant, joy, laughter, life, mom, motherhood, relaxation, woman, women and tagged judgment, Lent, motherhood, parenting, sacrifice, self-care, society on February 22, 2012 by LHale.